In Plain Sight work within the realm of house music, bringing their own passions and experiences to their production and live sets for a stirring sonic result. The trio's (Ezekiel, Lucas and Nomad in the Dark) tracks have proven equally effective in tiny darkened warehouses as well as in packed, international nightclubs, spun by some of the leading names in electronic music. Sasha, Nick Warren, Hernan Cattaneo and Dave Seaman are just some of the esteemed fans of their work. 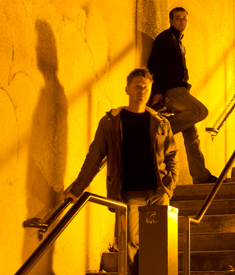 Orbital chose their remix of "Where is it Going" as the winner of Moogfest's 2012 remix contest.